CBCNews.ca asked Dr. A.M. Birk some questions on safety issues involving propane. Dr. 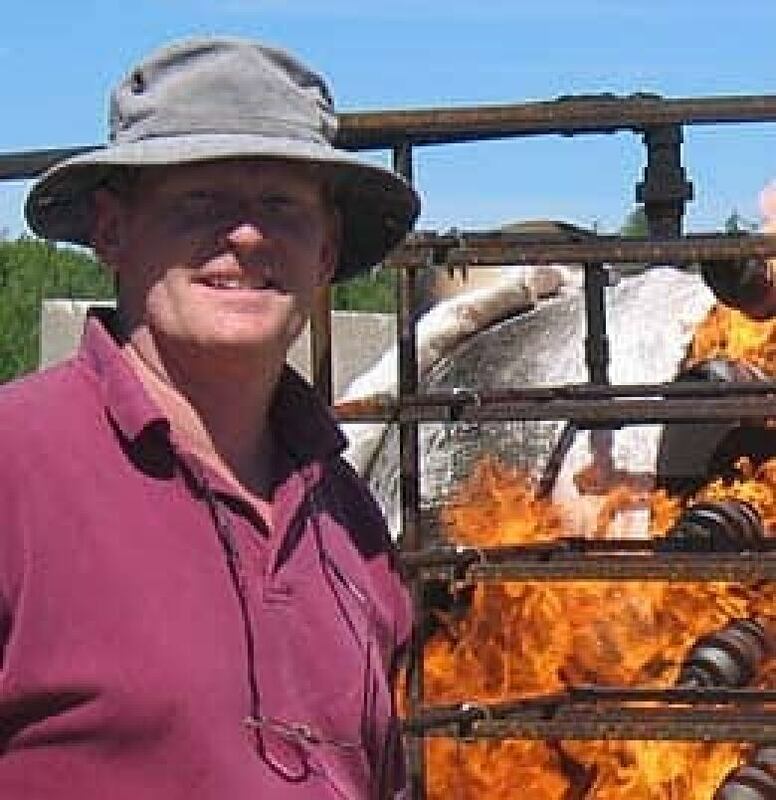 A.M. Birk, a professor of engineering at Queen's University, has been studying propane storage and transportation since the early 1990s, and is recognized as an international expert on the physics of propane explosions. CBCNews.ca asked Dr. Birk how such a common fuel, used for activities ranging from home cooking and barbecuing to fuelling engines and heating homes, can create the kind of massive blast seen in Sunday's major propane explosion in Toronto. According to the Propane and Gas Association of Canada, propane tanks are 20 times more puncture-proof than conventional gasoline tanks. But, Dr. Birk points out, the containers can fail. When pressurized propane tanks are exposed to enough heat or a major blast, he says, there is always a risk that the tank will fail as the heat weakens the steel, or fragments puncture the wall of the tank. Every propane facility in Canada is required by law to comply with strict guidelines set by the Canadian Standards Association. However, local standards vary from province to province. Propane is a liquefied gas, which means that normally — at ambient temperature and pressure —propane is a gas. But when we are transporting it and storing it, we compress propane into a liquid. The air we breathe is at one atmospheric pressure, and liquid propane stored at 20 C is at about eight [times the] atmospheric pressure. The higher the pressure in the vessel the stronger the explosion is if the tank fails suddenly. The tanks [companies use to store propane] are incredibly strong and durable, and they are all equipped with a pressure release valve. This valve is essentially a safety system. As the tank heats up, the pressure [increases]. This will cause the pressure release valve to open, which then releases some propane in gas form. What causes a propane explosion? Propane is a pressurized fuel, so if you lose containment of a pressurized fuel product it's going to come out very fast. If a small leak gets ignited, that escalates the problem. If you have several tanks together, you can see a chain reaction. The more vessels, the higher the risk of chain reaction. It's a heat thing: You have a leak on one, it ignites, and then the flame impinges on another tank. If it's severe enough, that causes the release [on the second tank] to open, and the flare ignites. Then you have jets of fire in various directions impinging other tanks that then explode. Fragments from another tank may puncture another tank and we'll see another explosion. These are called BLEVEs. A BLEVE is a boiling liquid expanding vapour explosion. This is what happens with a propane fire. When the venting of the tank and any secondary safety systems like sprinklers don't cool the tank, the tanks will explode. This sends out a massive shockwave of pressure. The BLEVE is the huge explosion when the actual pressurized vessel fails, and the liquid changes to vapor. This happens in milliseconds. The fireball comes when the vaporized propane moves outward and mixes with the surrounding air. If there's already a fire burning, that fire ignites the propane after the vessel fails. What are the hazards of a BLEVE? There are several hazards with large propane fires. First, there is a massive shockwave from the sudden release of the pressurized commodity. Fragments are also a risk. Large sections of the pressurized tanks can be propelled hundreds of metres. Theoretically, the fragments could fly up to 1.6 km, which is why we saw such a large evacuation area [in the Aug. 10 Toronto explosion]. Finally, the released propane can mix with air and ignite. You then have the fireball, which we saw in Toronto. The fireball from a tank of a highway truck, you might get 100- 150-metre fireball. If you're in it, you're going to be burned severely. And if you're within two or three fireball diameters there is a good chance you'll be burned by thermal radiation from the explosion. How can businesses improve their storage of propane? The technology is generally very safe — the tanks are well designed and the industry is regulated — but you cannot make them perfect, you will have accidents once in a while. There are improvements that we can make: We can improve the valve technology, and we can include other means of protection. For instance, the vessels could have thermal protection — an insulating layer to reduce the rate of heat flow into the tank from the fire. This keeps the tank walls cool so the tank wall material will not degrade and fail under pressure. However, all these things add cost and complexity to the system. If we say we're going to do that with every pressurized vessel in North America, the cost implications would be huge. That's' the problem —there are things we can do to make these tanks better, but it makes them more expensive, and nobody wants to pay more money for anything. What should the public know about handling propane? Homeowners should make sure cylinders are up to date and in good condition — and they should never store them indoors. People should be very careful when they are connecting and disconnecting them to make sure valves are closed properly. Steel cylinders are what we typically see in homes, and they are very tough cylinders. It takes a lot to make them explode, but they can. Now we're going to see fiberglass cylinders in Canada. They are lighter, easier to carry around, some you can see through so you can see how much propane you have left. Fiberglass burns, so we'll have to see what their safety record will be because they're quite new here. With all fuels, it's important to respect them. You have to be careful when you're working with them. As we've seen, you have to be even more careful with propane because it's a highly pressurized gas and things can escalate quickly.